Lallemand’s naturally treated yeastYeast is a unicellular fungus that can convert sug... More cell walls contain a combination of manno-oligosaccharides (MOS) and beta-glucans extracted from a unique primary grown yeastYeast is a unicellular fungus that can convert sug... More strain (Saccharomyces cerevisiaeSaccharomyces cerevisiae is the name of a strain o... More) from a specifically dedicated manufacturing process. 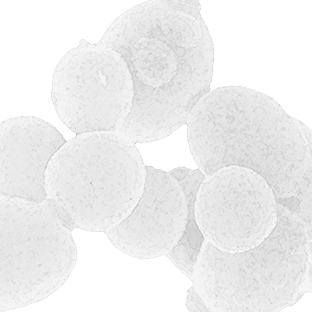 Glucans-30 is obtained from the hydrolysis of yeastYeast is a unicellular fungus that can convert sug... More cell walls under controlled conditions. After the hydrolysis is completed, treated cell walls are purified by centrifugation and spray driedTo obtain a fine yeast powder, yeast manufacturers... More. MOS are natural essential oligosaccharides components of the yeastYeast is a unicellular fungus that can convert sug... More. They contain mannan that could help block the colonisation of undesirable bacteria within the digestive tract and beta-glucans, a component that helps support non-specific immune system. According to Lallemand research,Glucans-30 has several health benefits, as this product has been shown in vivo to help restore normal immune function and improve digestive functions under stressful or infectious conditions.